National Student Research Convention- ANVESHAN -March 28th to 30th 2016. 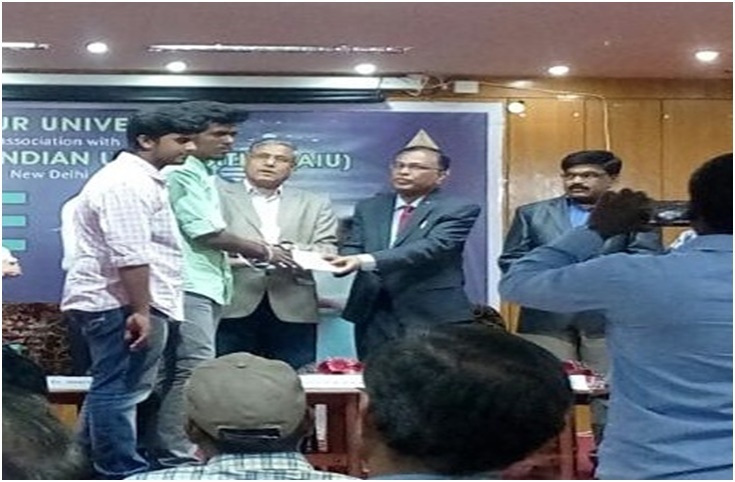 National Student Research Convention- ANVESHAN - March 28th to 30th 2016. 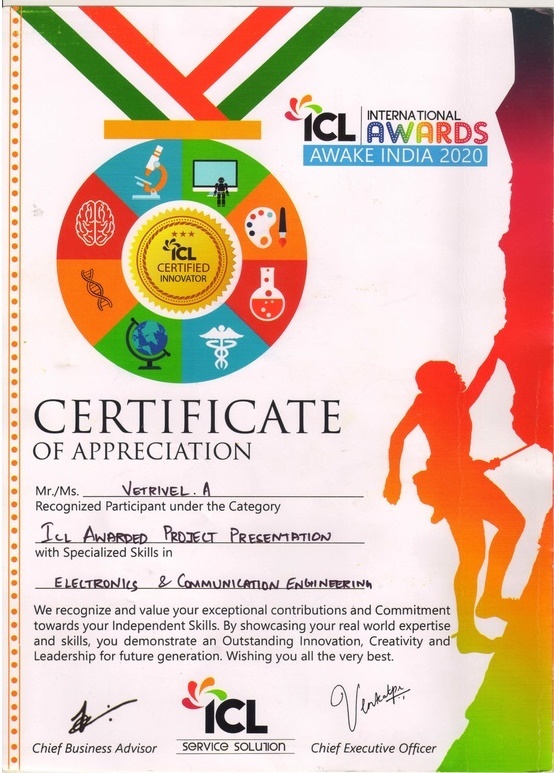 Automated system for Effective usage of water in Agricultural farming". 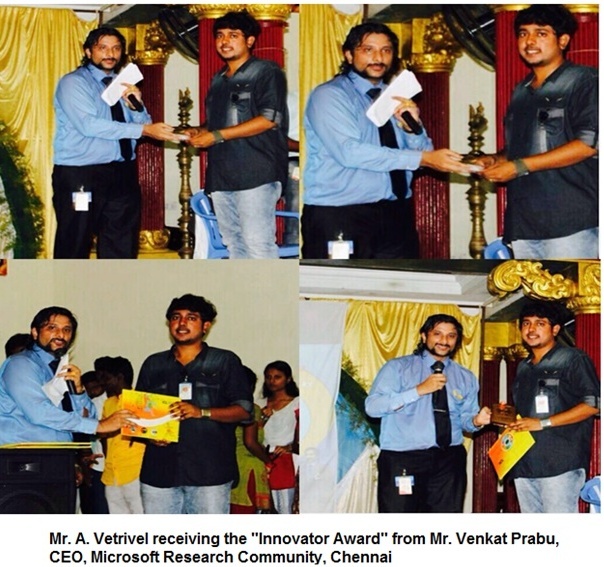 Mr.A.Vetrivel, III year, ECE Department participated in the "Innovation, Creativity and Leadership (ICL), Project Competition" organized by the Microsoft Research Community on 7th February 2016 held at Pondichery Engineering College, Puduchery and bagged the " Innovator Award" for his Project titled "INTELLIGENT SECURITY SYSTEM FOR BS Abdur Rahman Crescent Institute of Science&Technology .